In another explosive revelation, TOI has learned that costs of 38 irrigation projects in Vidarbha were increased from Rs 6,672 crore to Rs 26,722 crore by the Vidarbha Irrigation Development Corporation (VIDC). 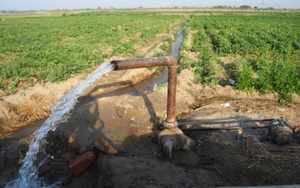 MUMBAI: Maharashtra‘s mega irrigation scam, which strained relations between Congress and its alliance partner, Nationalist Congress Party ( NCP), is getting murkier.In another explosive revelation, TOI has learned that costs of 38 irrigation projects in Vidarbha were increased from Rs 6,672 crore to Rs 26,722 crore by the Vidarbha Irrigation Development Corporation (VIDC). More shockingly, this mind-numbing 300% cost escalation of over Rs 20,000 crore was approved in a short span of three months between June and August 2009. (TOI, in recent months, has carried a series of reports exposing the contractor-minister-bureaucrat nexus that has led to criminal cost escalations in minor and big irrigation projects in the state. )The VIDC reasoned that the costs were revised because of the change in price levels, higher quotes by contractors, increase in the cost of land acquisition, engineering changes and other reasons. But the rush to revise costs and give bulk approvals to 38 projects in just three months has raised eyebrows in government circles. In one unusual case, revised administrative approval for the Lower Wardha project was granted on Independence Day (August 15), a national holiday. The project cost was revised by VIDC’s then executive director from Rs 950 crore to Rs 2,356 crore on that day. Sources point out another case of the Upper Wardha project in Amravati, where the cost was revised from Rs 661 crore to Rs 1,376 crore in July. Another case is that of the Bembala river project in Yavatmals district of Vidarbha. Official documents show that its cost was revised from Rs 1,278 crore to Rs 2,176 crore on August 14, 2009. Bembala was one of the 10 projects given revised administrative approvals hurriedly on that day. On another day (June 24, 2009), VIDC issued 10 revised administrative approvals for Vaisawali, Lonwadi, Dagadparwa and Dava minor irrigation schemes, and larger projects such as Human Nadi, Kharbadi K T Weir, Jigaon, Khadak Purna, Pentakali and Chandrabhaga. Once these revised administrative approvals were granted, the VIDC hurriedly invited tenders for all the 38 projects. These approvals were given by then executive director Devendra Shirke.